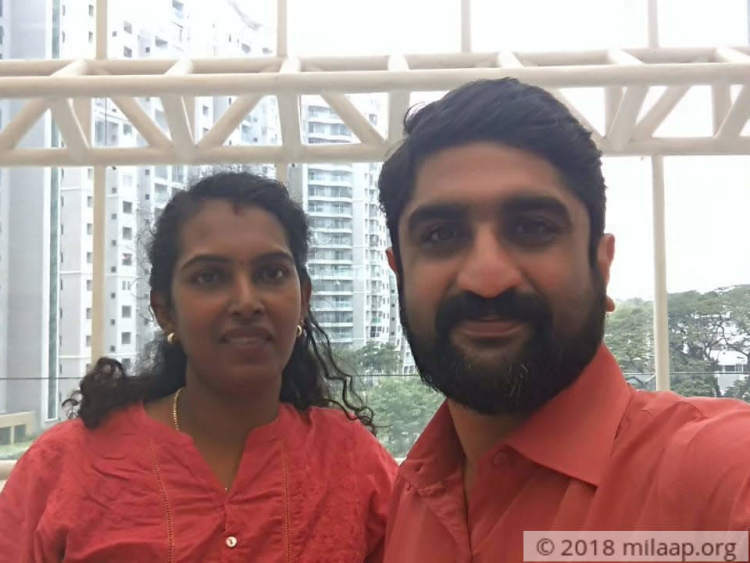 “ After three years of our marriage, Sangeetha became pregnant. Life seemed like a blessing to us, we started planning everything around this. We had no idea things will take such a different turn, that we would almost be on the verge of losing our twins. The first time when my wife saw them in NICU, she almost fainted. 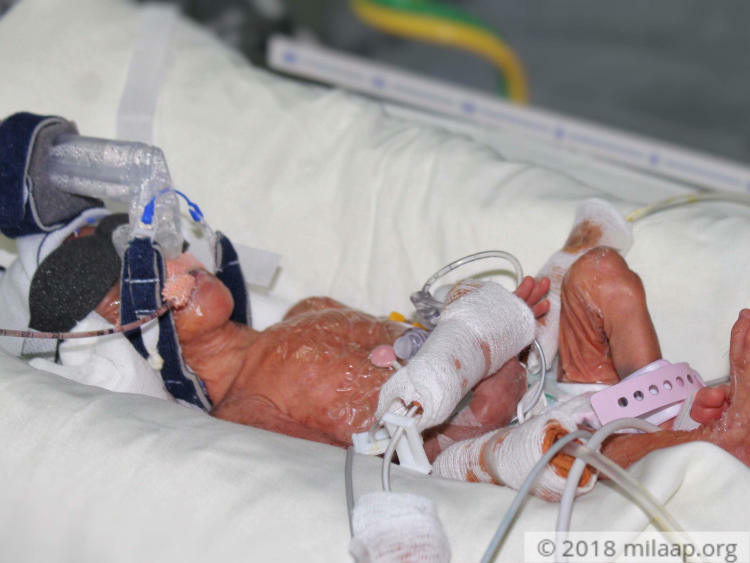 She couldn't bear to see her babies covered with so many tubes and struggling to breathe. ” Ravi Kumar, the father of the twins said. Sangeetha had a problem-free pregnancy till her 29th week. She was rushed to the hospital when her blood pressure shot through the roof. An immediate C- section was done, 8 weeks in advance before the due date. 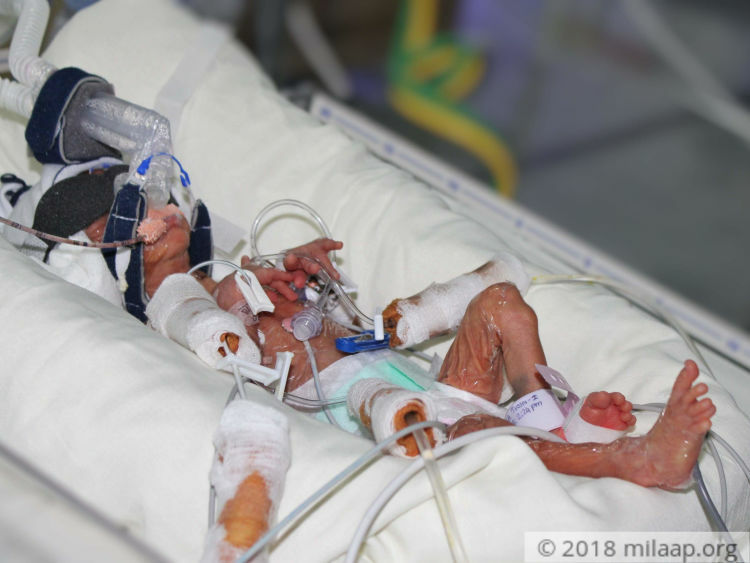 The extremely premature twins were taken to NICU soon after their birth, leaving their parents in despair. “She had started bleeding from her nose and I got very scared. I immediately took her to the hospital. The doctors said that the lives of my wife and the twins were in grave danger and the only way they could be saved was if they operated. I was left with no option,” Ravi recalled. The twin babies are now 25 days old and are in the NICU. They have a number of complications, of which their respiratory troubles are most severe. Their organs are not fully developed and even the simple act of breathing becomes difficult for them. 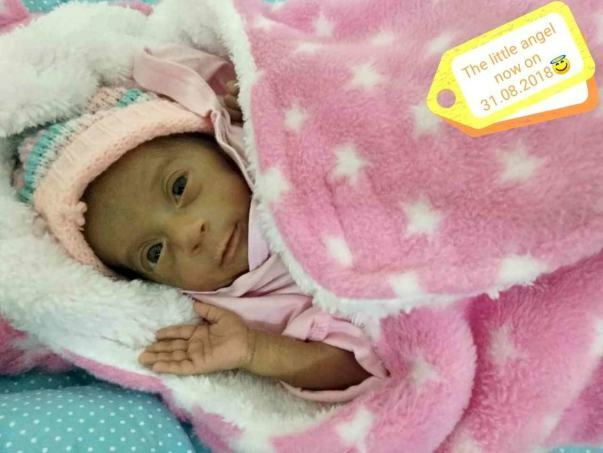 They need NICU treatment for the next two months to survive and live a normal life. “The babies are very underweight - one of them weighs 950 gms and the other weighs only 650 gms. They are very tiny and there are a number of tubes that are attached to their body, it is so agonizing to see them like this. We have not slept even one night, my wife is crying all the time, I have no words to console her. We are waiting desperately to hold them in our arms but we are in constant fear of losing them.” - Ravi. Since the babies were premature, Sangeetha has not been able to breastfeed them. Ravi has to arrange milk for them from the milk bank but the twins’ digestion problems do not allow them to have even that. “I have had a kidney transplant long back, I am fine now but I have to live a very restricted life. 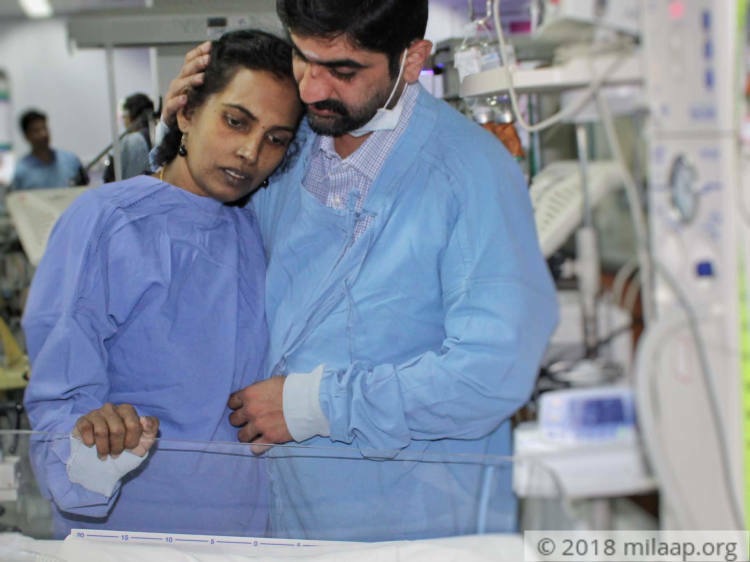 I was very scared during my pregnancy fearing any kind of complications and my worst fears got realized when I got admitted to the hospital with high blood pressure. Now I feel extremely guilty, my babies are suffering from their birth and I can't bear to see this. I don't know what I can do to save their lives.” -Sangeetha. 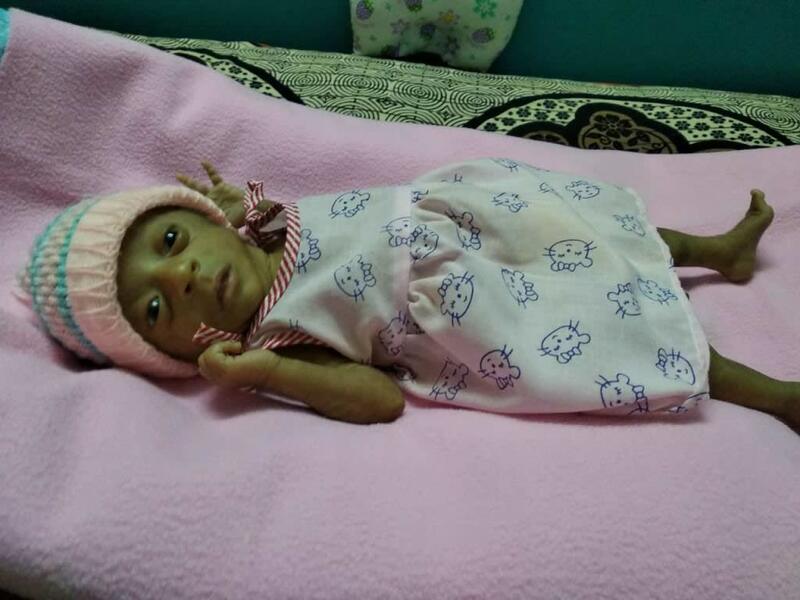 The doctors allow Sangeetha to see the babies for just 10-15 mins and then they are sent out of the room. It is painful for the new parents to see their little ones in that state. Tears well up in their eyes as they see their babies amidst all the horrifying medical equipment. 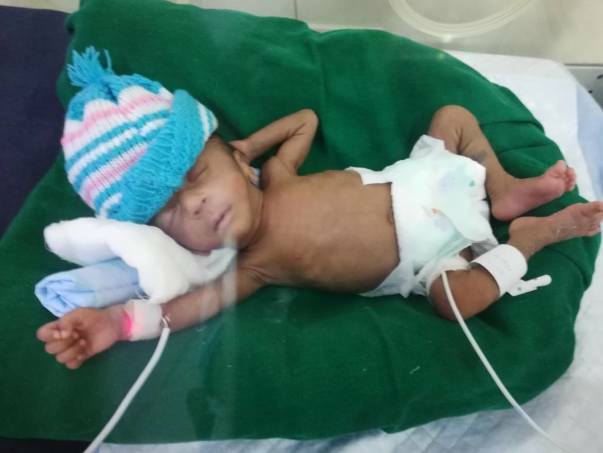 “Sangeetha is recovering from her C-section but mentally she is very distraught. All she can think about is how she can make her twins any better. She hardly speaks to me these days and the vacant look in her eyes haunts me. 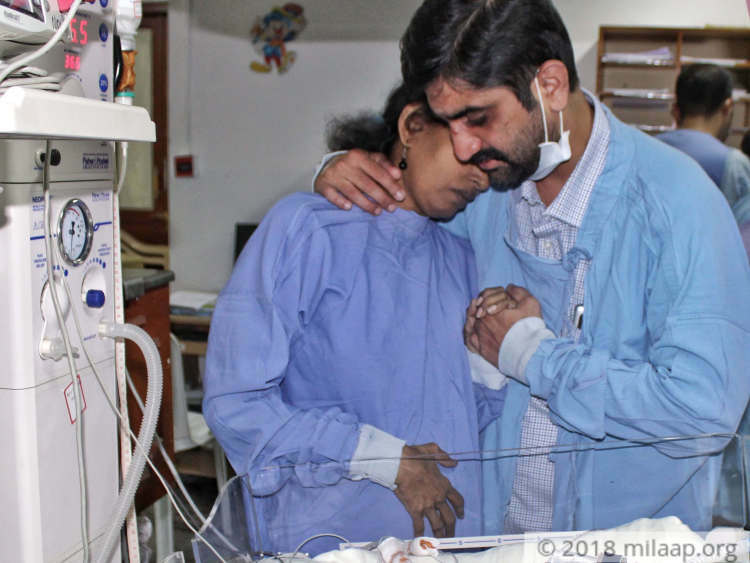 I have done everything in my capacity to make my babies better but the daily costs of the hospital stay are huge and I feel helpless.” Ravi sounded dejected as he said this. 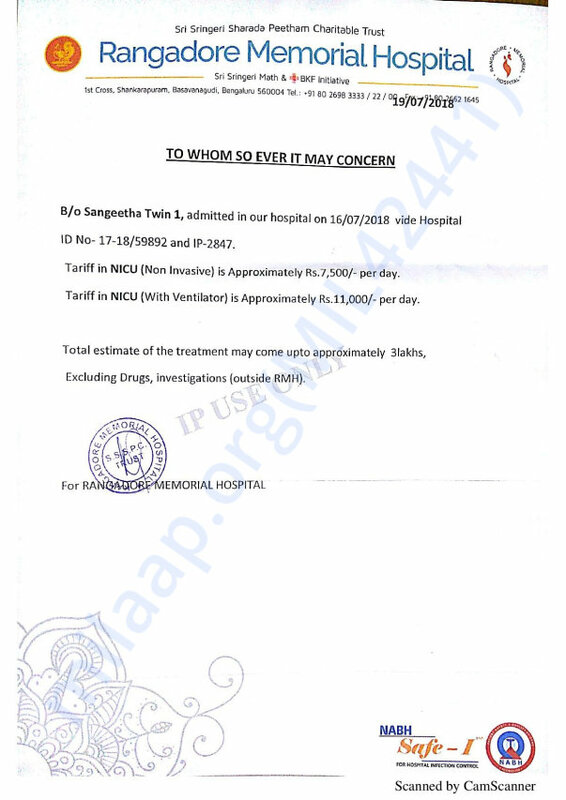 The cost of the hospital stay for both the babies would amount to 7 lakhs. Sangeetha herself needs special care now and Ravi has been looking after that as well. But continuing the treatment of the babies will become impossible for him any further unless he gets help. 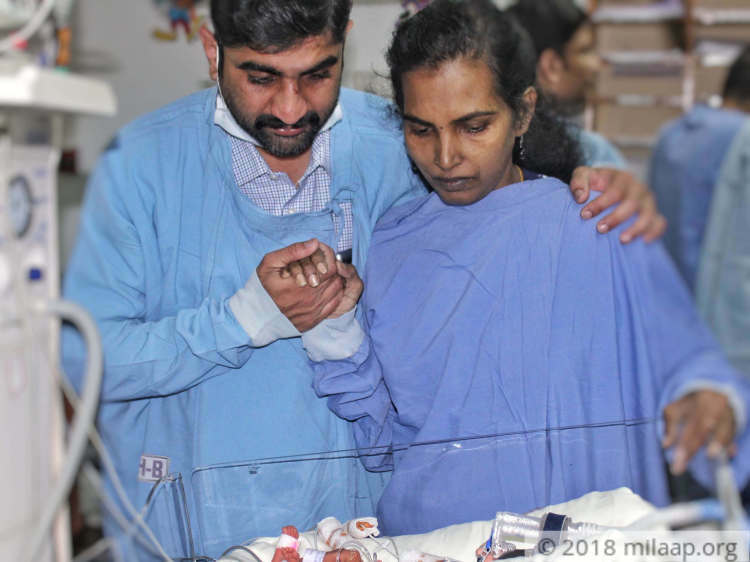 The 25 days old twins of Sangeetha and Ravi are in a critical stage and they require to stay in the intensive care unit for another two months without which they will not survive. Their respiratory and digestive problems have been worsening and have affected their growth as well. Your kind contribution can help these new parents live a happy life with their little ones. We are immensely grateful to all of you for supporting us and our little baby. Our baby girl is out of the incubator and discharged. We have brought her home now. She is doing well and is stable. We have to monitor her very closely. We also have to take her to the hospital every week for a review for 2-3 months. No visitors are allowed in our home as she is still very vulnerable. 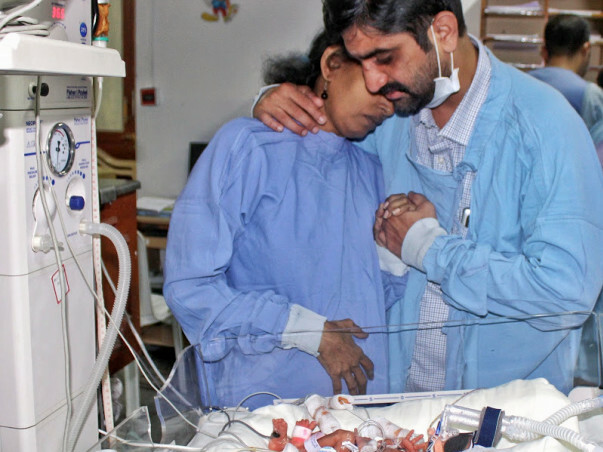 We have to maintain the same environment as the NICU so that she recovers quickly. We are so happy that out baby girl is with us at home now. This would not have been possible without each and every one of you. Thank you all! Thanking you for all the support, prayers and wishes. All our intentions are getting towards the success. Yes, the baby girl is stable and healthy. She responds firmly to our voice calls and touches. She has almost emotionally attached to the mother whose hold and touches are fairly recognised. We are grateful to all of u at all times as the 58 days old little angel weighs 1.5Kg today and may be discharged in a week's time.. 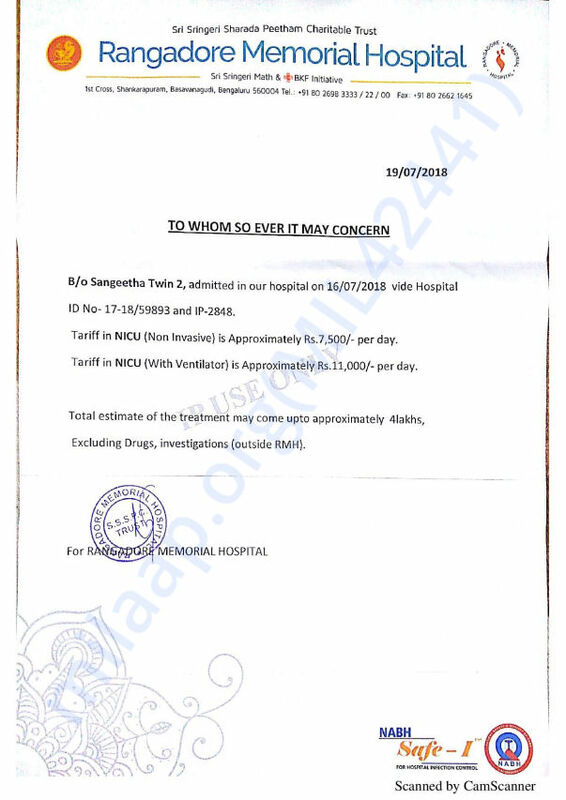 I request you all to share this news to more of your friends to help me get so more funds as the overall cost incurred so far has crossed 12 Lacs. Humble thanks to everyone of you who encouraged us this much. Thanks is the only way to say my feelings. We on a warfoot basis travelling 40 kms up and down on daily basis to meet our precious little princess. Now we could spend 2 to 3 hours with the little who's yet to the outside world even after 52 days of birth. The Girl baby is well tolerating milk and doing fine with ventilator. She smiles, cries and even responds to our voices by seeing us. Yet need to be in NICU for another 15 days at least as she weighs only 1350 grams by the end of 37th week, to avoid possible infections in this climate. Looking for more help and support from you all..
Once again Thanking all of you for your precious donation and of course you all made me encouraged to donate in future when I become capable. You all made me to learn the strength of handholding at the time of distress.